Posted on July 15, 2015 in Industry by Emily E. Steck. Birchbox—the discovery beauty brand that sends its subscribers a small beauty box of selected beauty and skincare samples—has grown considerably since its early 2010 inception from two Harvard business graduates. Starting with a modest 600 subscribers in 2010, in only five years that number has risen to over 800,000 subscribers. At the heart of their success? Their incredible editorial content. Their editorial efforts were there early—Birchbox had a Twitter handle and a blog before they had any customers, according to Birchbox’s Editorial Director Mollie Chen. And it’s paid off in a deep well of accessible, helpful content for their customers. Verticals span from the traditional hair, skincare, nails and how-tos of beauty magazines to edgier sections for the hottest trends for women, while their relatively new section for men focuses on grooming, skincare and more. Though there isn’t a print copy of The Magazine (yet—though there is a catalog), the Magazine has big ambitions to immerse itself in its ecommerce site. “In general, with content marketing, I think what is so cool —and I hope we’re working towards it—is what if we looked at Birchbox.com and there weren’t separate areas for the shop and for the magazine? What if it all just flowed together? 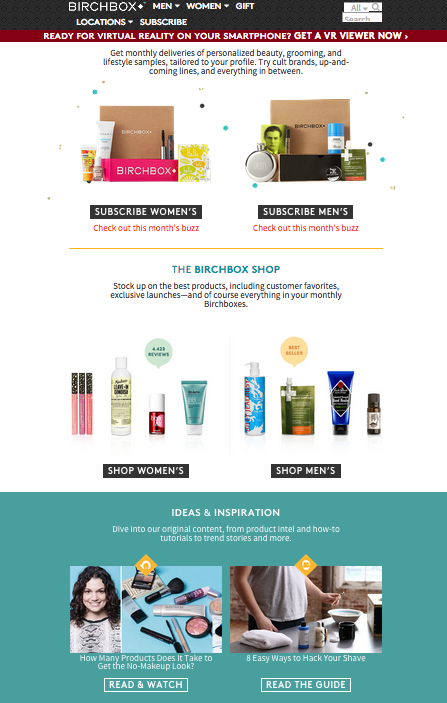 That’s what I think is fascinating.” Which, as of July 2015, is something Birchbox is doing. 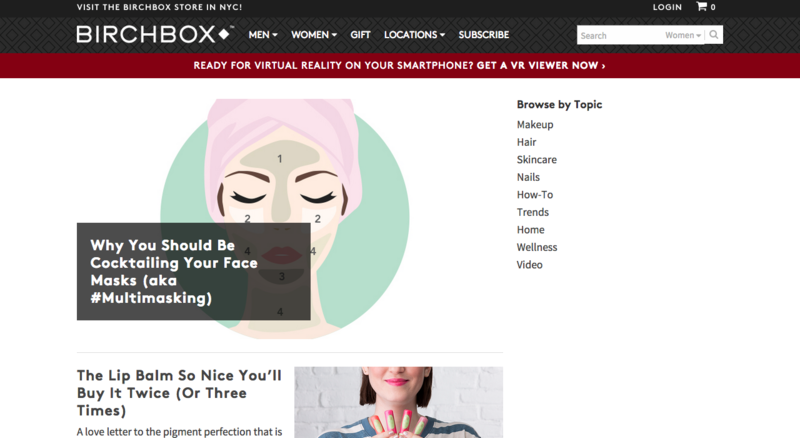 A leader in the content marketing sphere for their editorial content and business savvy, here’s what we can learn from Birchbox’s branded publication. Writing content about the company’s products should not feel advertorial but educational. Content can help you understand your customers. “We think about it as a win for the customer: ‘I found the best product. It’s amazing and, not only did I find it through Birchbox, they taught me how to use it.’ That’s a great experience for the customer,” Chen told MediaBistro in 2014. Consider the context of your data. Birchbox’s Bene Cipolla told NewsCred that Birchbox prefers to consider the “journey” of a user’s experience with content—from consumption to purchase over a long period of time. Content is equally as important as your product and service. For more insight into branded publications, product updates and industry happenings, follow us on Facebook and Twitter and be sure to sign up for our newsletter.